MOTU’s revamped interface now comes with themes, like this lovely black version. And it runs on Windows, not just Mac. DP8, SONAR X2 each tune these mature DAWs; here’s a look at what they have to offer. Image courtesy MOTU. Two DAWs, announced earlier this year, are now shipping this week. One is Cakewalk’s SONAR X2 for Windows, which extends the new user interface overhaul – loved by some, despised by others – unveiled in X1. But PC stalwart Cakewalk has new competition on the Windows platform. 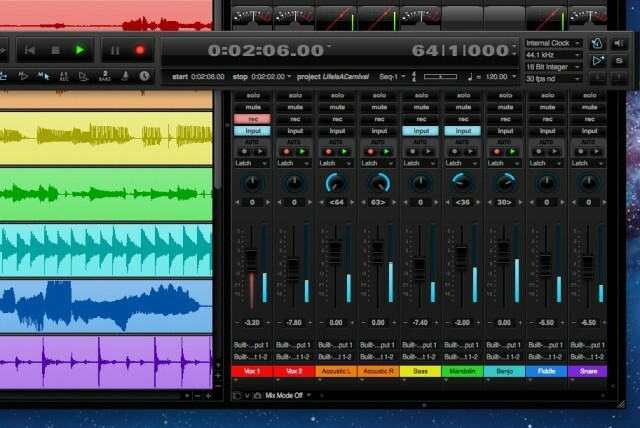 MOTU’s DP8, apart from being a fairly significant overhaul for Mac users, also marks the arrival of that DAW on Windows. The timing is interesting, too, as there have been long gaps in the release cycle for two other DAWs – Apple Logic and Ableton Live – that are widely expected to be filled with upgrades soon. So, we get to see first where MOTU and Cakewalk will stand; there are in particular some features that are surprisingly absent from Apple’s DAW (like video playback to match their flagship Final Cut editor). 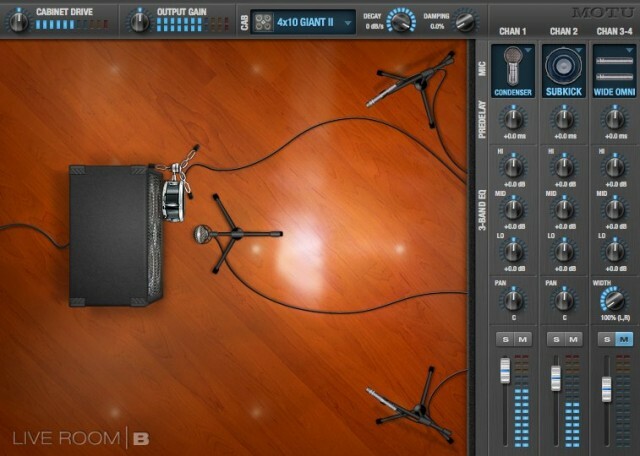 In the MOTU corner: that new UI and themes, new Windows support, 64-bit and VST and ReWire, video playback pros might actually use, and tons of effects, particularly in the guitar/bass guitar category. From Cakewalk: that new UI retooled a bit to make it more usable, R-MIX visual audio editing from Roland, console-emulating channel strips, and lots of workflow improvements. Let’s take a birds-eye view of each. Improved Skylight feature, selection tools. SONAR is looking more fluid – and the cost of adapting to the new UI is paying off. Apart from endlessly-customizable widescreen setups, zooming and context-switching tools now make a lot more sense. Moving seamlessly move between tools, rather than doing a lot of switching, is especially appealing. (Looking at you, Logic.) Best seen in the videos, below. More Skylight integration. It was hard to escape a tacked-on feeling with Skylight in X1; version 2 updates more views for easier takes, clips, and the like. Better Matrix View. This “Ableton Live in SONAR” feature (okay, not what they’re calling it, but you know that’s how you’ll think about it) has performance improvements, external MIDI support, and more flexible triggering and routing. For people who want some of the triggering options of Session View in a conventional DAW, it could appeal. New effects. R-MIX uses Roland’s very-cool visual editing options and sticks them in SONAR. There’s also a new console emulation – Pro Channel – plus the Overload TH2 guitar effect. R-MIX is I think perhaps the coolest feature, though it’s available for desktop and iPad from Roland separately from SONAR — including on the Mac. Full VST and ReWire support across platforms. So, with Cubase, you can use VST, but not AU. With Logic, you can use AU, but not VST. As with Ableton Live, DP instead lets you use both VST and ReWire on Mac and Windows for easier mobility of sessions. I could talk about how I think we need new formats to replace these aging not-quite-standards, but – this is much, much better than nothing. 64-bit, as well as 32-bit. 64-bit computation means optimized performance and more memory. Cocoa UI. ‘Bout time – not only significant to Mac performance and compatibility, but means Cocoa-based plug-ins will now work, too. New video playback engine. Up to 1080 HD videos on your main or secondary monitor, HDMI, SDI, HDX-SDI, and HD Express support. If your reaction to DP is something like “who’s using DP, anyway?” — one big answer is “people working in video.” And this is another reason why. Your move, Apple. See the video demo from MOTU of how the playback features work. New plug-ins. This is another feature that makes Logic look a bit long in the tooth. A new “dynamic equalizer” – cleverly combining multi-band EQ with dynamics – joins a beautiful delay, mid/side processor (creatively dubbed “spatial maximizer”), de-esser, kick drum enhancer, spring reverb, ensemble chorus, VOX ACE30 guitar amp and a number of other bass and guitar amps and cabs, analog delay and flanger, and more stomps and effects. Looks very nice for the guitar crowd and for creative producers. See MOTU’s demo showing guitar processing in DP8. Punch Guard. Apart from being “the move I have to do at NAMM after I’ve made a PR rep angry because of some snarky thing I said blogging,” this counts as an automatic record buffer for before and after punch recording (4 seconds before, 1 second after, customizable). See MOTU’s demo vid. Improved UI, themes. See picture, top. There’s also a transport control that pops into the UI, a bit like in Logic, and… well, in a lot of things. DP8 is packed with new effects, including a range of guitar and bass effect/cabinet (top) and combined dynamics and multi-band EQ (bottom). By the way, in other MOTU news this month, if you own one of their audio interfaces, you can now control mixing features from an iPad.